ADDRESS Interview with Michele of Buttata Ceramics. Define your craft in 3 sentences or less. The ceramic work is such a kinesthetic way of knowing. It’s a balance between muscle memory and the clay body. The process is very in the moment and tells a story about the movement and environment in which it was created. And mostly it is a lesson in transience – a piece can be made, trimmed, bisqued and glazed and crack or explode in the last kiln firing. It’s a humbling experience. Describe your creative process. My creative process is grounded in time spent outdoors and seasonal changes. I am inspired by food, fresh produce and how our landscape and tablescape really align seasonally on the west coast. 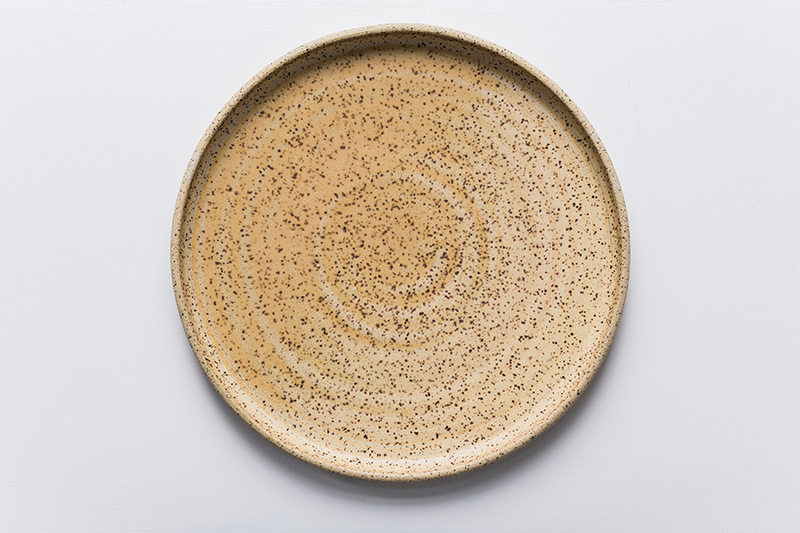 The tableware design is a celebration of the experience of cooking and sharing meals and the process is iterative for me. Where do you find inspiration when experiencing a creative block? Getting outside to exercise in the early morning helps. Or just staying in the studio cleaning can work too. If I can shift my focus away from whatever the block is, it seems to dissipate. So if it’s not working throwing, I don’t force an afternoon of throwing – there is inherent beauty in the ease of creating. What advice would you give to young designers / makers / artists / creatives aspiring to make it in their field? Be honest in your work. It can be a bit scary and vulnerable to honestly make, but there is beauty in the truth of that. What’s your dream project? I have so many dream projects! I want to make a set of mixing bowls and have them slip cast and accessible. So the salad bowl or cookie mixing bowl that kids grow up with is a piece of Buttata Ceramics. I love working with chefs. I would love to work closely to develop tableware that people could purchase that would remind them of the amazing meal they had at a specific restaurant. Both of these projects would require collaboration for larger scale production, that I hope will come when the timing is right. What art and design trends are you excited about? It is exciting that functional objects are thoughtfully and artistically created with a streamlined aesthetic. There really seems to be an increasing focus on the beauty of everyday living and how to maximize joy in that experience. I love that.